Designed to withstand hurricane force winds, and guaranteed to provide years of comfort and value. 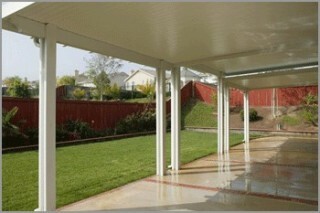 Beautiful 3” Rhino Patio Cover, fluted aluminum post, gutter system with matching valance and large 3”x4” downspout. Call Capital Improvement and create the perfect outdoor living space for this amazingly low rate. Whether you need shade from the sun, a place to enjoy parties or protection for your vehicle, Capital Improvements offers a complete line of “low to no” maintenance covers that will take care of your outdoor needs. 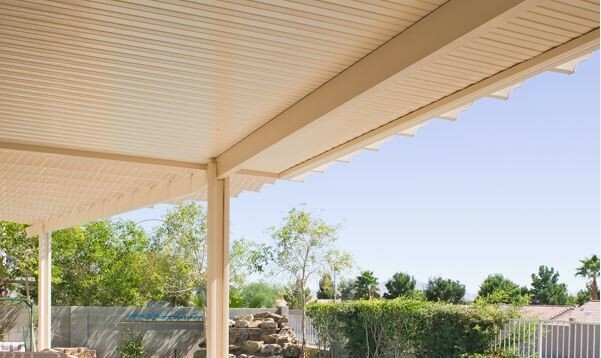 Our insulated laminated roof panels snap together tightly, forming a strong, structurally sound roof as well as a weather-proof barrier protecting your patio or vehicle from the elements. Our patio covers can be specifically designed to accommodate ceiling fans and light fixtures, giving your outdoor space extra amenities. 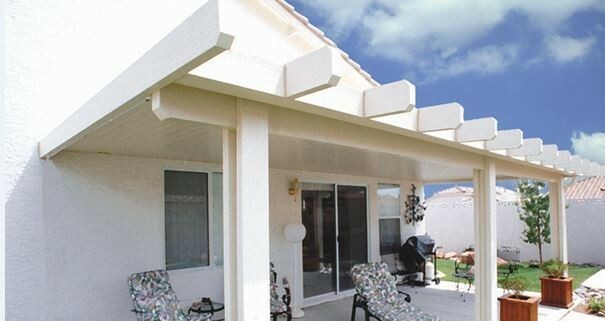 Patio Covers from Capital Improvement are made from high-quality, structural aluminum. Virtually maintenance free, our covers are crafted to never rust, warp, crack, rot or become infested with insects. Our factory finished aluminum components retain the original color, gloss and texture longer and better than patio products made of alternate materials. Plus we stand behind our products with a transferable Lifetime Warranty. Capital Improvement uses only the highest quality building products from premier providers of metal building products for the home and commercial building industry. These building products are designed to meet virtually all of your needs and all building codes in North America. Insulated LRP (Laminated Roof Panel) – Our insulated LRP roof panels are made with an EPS (Expanded Polystyrene) foam core. EPS is a high-performance insulation specified by architects nationwide for many of today’s energy efficient homes. Using these insulated panels with our patio components will create a strong, durable patio cover or carport. 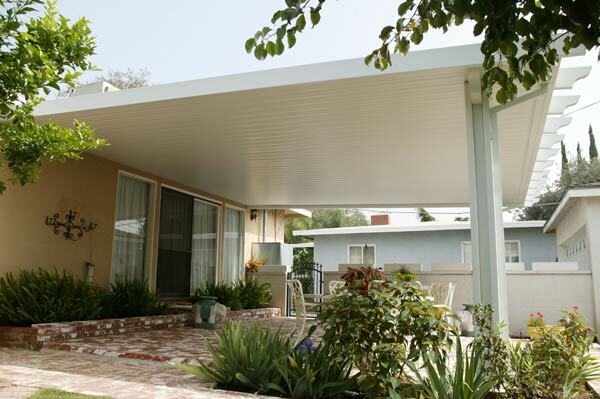 Roll Formed Patio Covers – “Flat pan” or “W pan” patio cover/carports provide economical, solid shade that protects you and your home from inclement weather and harmful UV rays while also providing shade for relaxing. 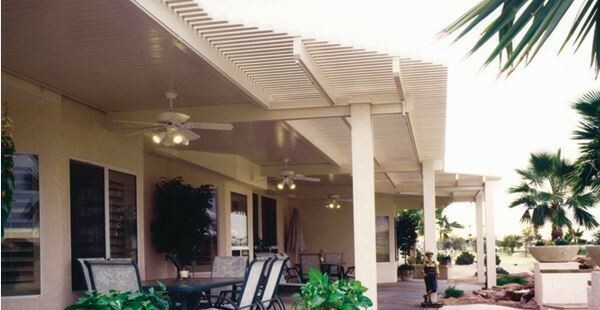 Deluxe (Lattice Wrap) – Combine solid insulated LRP with embossed aluminum rafters to give enhanced dimension and style to your new Patio Cover.